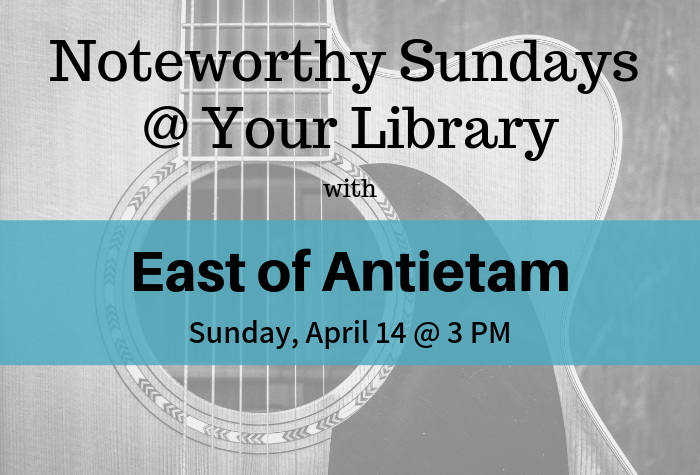 East of Antietam is a local duo that has been making fun, rich music together since 1986. Their musical style and influences include a variety of artists from Shawn Colvin, Adele, Crowded House, Simon & Garfunkle, Crosby Stills and Nash, and many more. This concert is free to attend for all ages. Registration is not required, but is appreciated.